The web platform for Elsevier’s 500-plus health, medical and life science journals is being upgraded with improved search accuracy, a more robust categorization tool for editors, and a much-improved reading experience on mobile devices. The upgrades will begin this Fall. 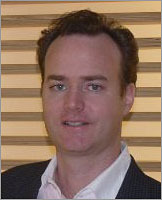 The scope of the project applies to publication-specific customized sites that serve large personal and society member audiences of primarily, but not exclusively, clinical practitioners, such as TheLancet.com or GastroJournal.org. Elsevier will extend this new platform's capability to its society journals in the Physical and Social Sciences as it expands its business in those domains. The new web-hosting service uses Elsevier’s Smart Content system, which provides semantic enrichment technology for health, medical and life sciences through EMMeT, the Elsevier Merged Medical Taxonomy. EMMeT is also used for ClinicalKey, Elsevier’s online search tool that helps physicians find answers to clinical questions at the point of care. The system also has an editor’s content management tool, built upon EMMeT, that enables the creation of automated or curated topic collections. The new web service is powered by Atypon Literatum. Upgrades also include an advanced mobile-device adapted presentation for these websites through Atypon’s Literatum for Mobile.“We wanted to give journal editors a semantic technology-assisted content management system to organize their materials for readers, and also give the readers a site that adapts to the device they are using,” Crisfulla explained. 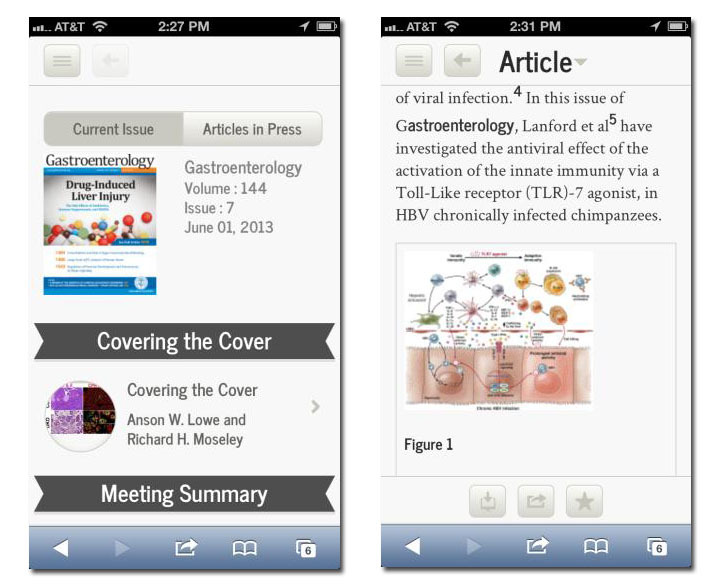 “We think the journal subscribers will appreciate the enhancements." These journals have about 1.2 million personal subscribers. The Smart Collection Tool provides an easy, self-service interface for editors to search their tagged content and assign articles to topical collections. The collections can be set up as "dynamic," meaning that any newly published content that matches the editor’s search query is automatically added to the collection. 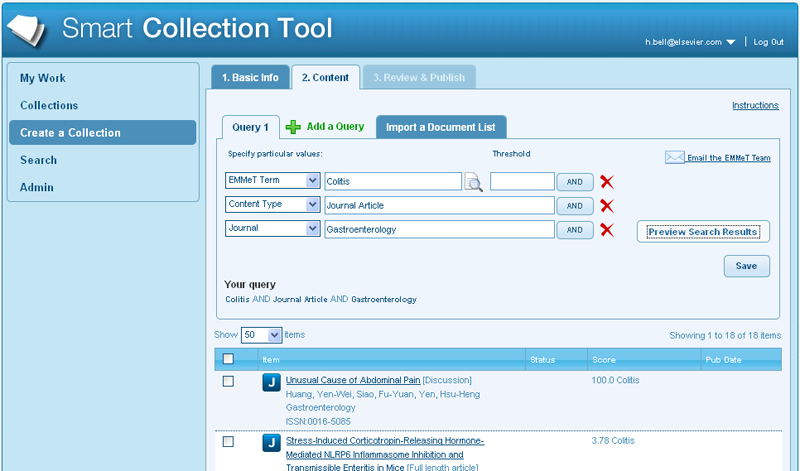 The Smart Collection Tool offers us a range of exciting opportunities for bringing more relevant journal content to our medical journal readers more quickly. We can launch collections to coincide with conferences, improve the ranking of our journal sites by promoting topical content that is highly searched for, create collections for sponsored access and boost the value of a journal subscription by offering related article collections. For our journal readers, we’re responding to their need to quickly navigate to articles in their field of interest. Collections will also work very well for on-the-go mobile browse. Making the website content more manageable for the editor is important, he said, because journal editors are often juggling this work with their work in hospitals, private practices and the business of the journal they’re editing. The Smart Content system improves search accuracy by mapping EMMeT’s extensive taxonomy to each journal article and webpage on a granular level. Based on UMLS (Unified Medical Language System), EMMeT contains select terms from standard vocabularies such as MeSH, SNOMED CT, RxNorm, ICD9 & 10, and LOINC. Manually curated by a team of taxonomists, EMMeT also includes an extensive custom vocabulary of jargon (abbreviations and acronyms) to reflect natural language. As a whole, EMMeT has more than 1 million concepts and 3 million synonyms, including 250,000 core clinical concepts. Branches include diseases, drugs, procedures, anatomy, clinical findings and symptoms, organisms and substances. The search technology on the new journal websites will help readers narrow their query more accurately by suggesting terms and mapping their query to related concepts.